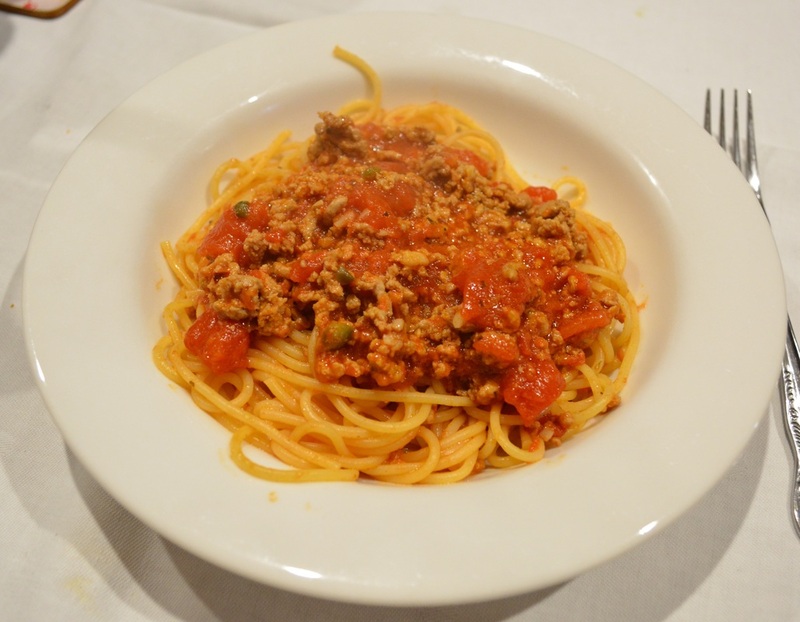 My family love pasta, my kids love a Bolognese sauce, my husband and kids love spaghetti. So when my husband said he wanted spaghetti for dinner I thought I'd go with my usual Bolognese sauce that we all love. But then last minute I found this recipe in a folder of clippings I had and instead went with this recipe. Now we do love my usual Bolognese sauce, which cooks for 2 hours and has a lovely flavour. This recipe cooks in half the time, is just as tasty, and we all loved it. Did I mention it is very, very easy to make. After about 5 minutes of cooking, you let it simmer away for 1 hour and your dinner is done. If you think your kids won't like capers, just cut them up really finely, I don't bother as my kids don't even notice them. Now I like to make more sauce than is needed as my kids love it when we have leftover pasta. So I cook 500g spaghetti for the first day, stir some of the sauce through the cooked pasta to ensure it doesn't stick together, and it flavours the pasta. Then I put the pasta in serving bowls, and top it with more sauce. Tomorrow I then cook a bit more pasta and top with any leftover sauce. So the recipe will make sauce you can eat today, reheat tomorrow or even freeze the sauce for another day. I did modify the original recipe enough to call this one my own, even so, if I knew what cookbook it came from I would still give it credit, but I don't, so unfortunately I can't give credit to the cookbook it came from, but I am guessing it was either a family circle cookbook or an Australian Women's Weekly Cookbook. 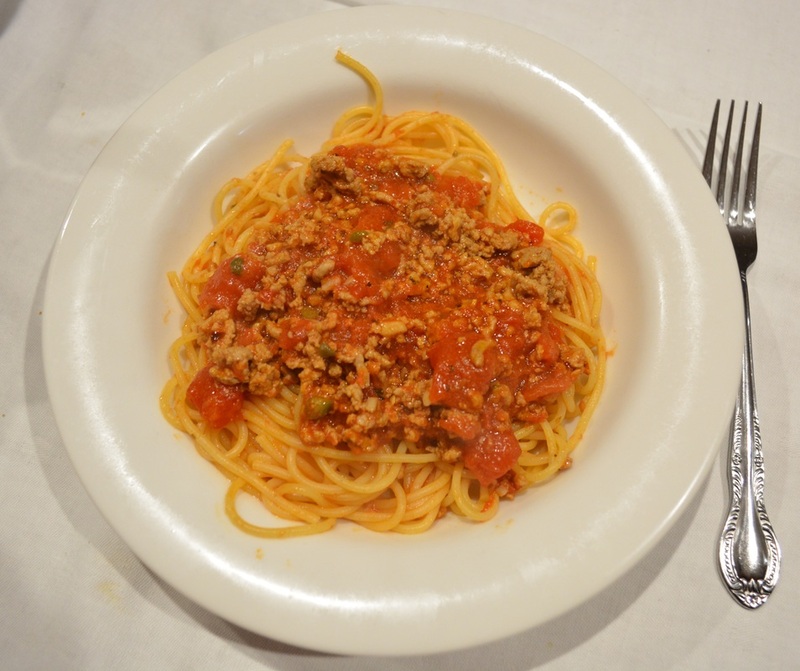 So here is a variation of a Bolognese sauce that I loved, and as I have mentioned in previous posts, Bolognese is not my favourite pasta sauce, so for me to post it, I must love it. Heat the oil in a large saucepan. Add the garlic and stir over a low heat for 30 seconds. Increase the heat to medium-high, and immediately add the mince, brown well, breaking the mince up as it cooks. Once the mince has browned, add the tomatoes and all their liquid, wine, capers, basil, vegeta, salt and pepper. If the mince is not covered in the liquid, you can add 1/2-1 cup water, if needed. Bring to the boil, reduce the heat, and simmer for 1 hour, uncovered, stirring occasionally, or until the sauce has reduced by half, or is thick to your liking. While the sauce is cooking, bring a large saucepan of water to the boil. Add a teaspoon of salt to the water. Add the spaghetti, bring back to the boil, and cook until just tender. Follow packet directions, but start checking if the spaghetti is cooked a minute before the packet cooking time. Drain well and return to the saucepan. Add the parsley to the pasta sauce and stir to mix. Add 2-3 ladles of the pasta sauce onto the spaghetti, mix it in well so that the spaghetti gets a light coating of the sauce. Place the spaghetti into serving bowls, top with a ladle more of the sauce and serve immediately. You can sprinkle with parmesan cheese, if desired.